In this body of work Viljoen explores the five geographical areas of the Namibian landscape:Central Plateau, Namib Desert, Escarpment, Bushveld, and the Kalahari Desert - each possessing distinctive abiotic conditions and vegetation. Layering up to 200 images, the artist physically alters the chosen landscapes. 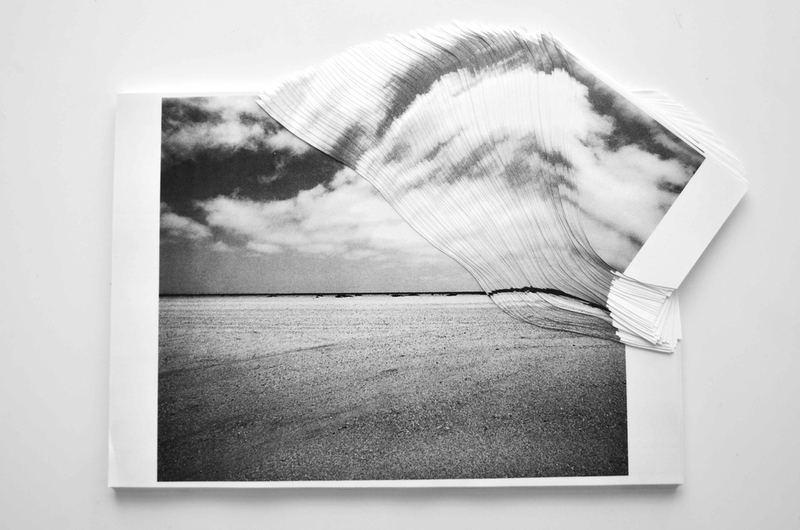 A 2D photograph morphs into a sculptural depiction of a shifting terrain. Viljoen contradicts the spirit of the medium, removing the possibility of reproduction. In this way the record of a moment becomes something more than a document but an exploration of memory and its implications in the present; each step becomes significant and consequential, apparent in the expression of the product. This complicated process sees the artist reclaim the landscape, freeing it from traditional constraints yet maintaining a sense of nostalgia and familiarity. The land escapes the containment of the frame, affording the images a sense of authority. Concerned with ideas of social memory embedded within the landscape, Viljoen literally shifts our perspective through layering and distortion. Subtle and brilliant, the landscapes transform in seeming accordance with ones visual consent. In this body of work Viljoen draws attention to ones relationship with the land as viewed through the frame of traditional landscape photography. Reality becomes a representation of illusion, with spatial aberrations reflecting the nature of memory beyond a tangible presence.